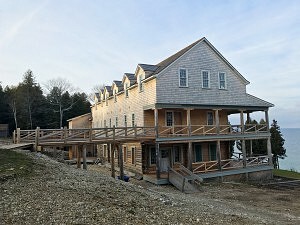 ERA is highly anticipating the completion of their latest project in Michigan, Silver Birches Resort. Built between 1906-1912, it is a well-loved landmark on the remote north shore of Mackinac Island. The Lodge is a rare example of a rustic log hotel and is included on the State Register of Historic Sites. 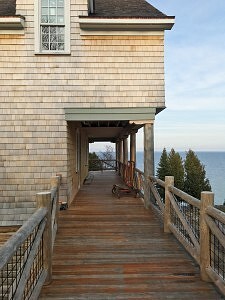 This helped spread a uniquely North American architectural vernacular that was ideally suited to rustic summer structures. This vernacular has been embraced and highlighted. The client’s family are heavily-invested in the region and its prosperity. Possessing a deep desire to understand the property and to restore it in a way that honoured the architecture and its surrounds, they became intimately engaged with the site during the early renovations. Mackinac Island, ‘the crown jewel of Michigan’, is regaining its lustre. The project team have spent the last four years managing the site as design lead in support of the local architecture firm and project manager, and coordinated the work of the various consultants. The scope included the complete restoration of the site’s “Yellow Cottage”, and the extension and refinishing of its “Blue Cottage”. 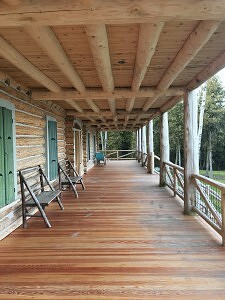 Also included was the preservation and restoration of the lodge’s ground floor log assembly, the rebuilding of its wrap around log veranda with code-compliant replacements, and the complete re-build of the upper two storeys to match the appearance, form and materiality of the original.